The Biblical prohibition of possessing chametz on Pesach applies only to chametz that one actually owns; thus, it is permitted to have chametz in one’s home provided that it is owned by a non-Jew and that it is kept in a closed place set aside for that purpose. To effect this sale, the Sages established a document (shtar harsha’ah) by which the signatories empower the Rabbi (or local rabbinate) to sell their chametz for them and to buy it back on their behalf after Passover. I have enclosed my version of this document. I have taken several efforts to ensure that this sale be established and perceived as an authentic one, and not simply a legal technicality/game. I ask that you to take inventory of your chametz; to enumerate (most) of those items that contain chametz and that you intend to sell. It also requires you to approximate their value. This is a summary. You need not be exact, but please be serious and realistic. Please detail the places that you will reserve for chametz that you intend to sell. 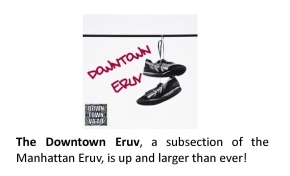 This information should be written in a way that would theoretically be understandable to the non-Jew who will be assuming ownership. I will arrange that the non-Jewish purchaser is someone who can afford to purchase this chametz (at a reduced rate) and one who fully understands property law and the transaction that (s)he is completing. Additionally, I ask that you provide the phone number and/or email address where you may be reached over Pesach. (1) Fax the completed form to my e-fax account, 718-504-7992. (2) Leave in the synagogue mailbox, at 325 East 6th Street. (3) Leave with my doorman at 10 West 15th Street, apt 1011. (4) Mail to the synagogue at 325 East 6th Street, New York, NY 10003. (5) Call me at 917-626-4573 to arrange a meeting. 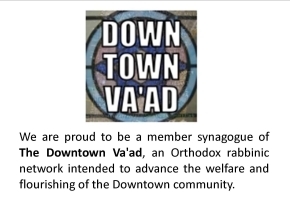 (6) Download, scan, and then e-mail the form to rabbi@SixthStreetSynagogue.org. (The document must be legible. It need not be beautiful). I plan to sell your chametz on Thursday evening, April 18th. When I have received your forms, I will be sure to call/email to confirm; otherwise do not assume that I have them. One final point: Although there is a common custom to pay the rabbi who facilitates the sale of chametz, I urge you not to do so. Instead, please feel free (but not obligated) to contribute to the Sixth Street Community Synagogue Rabbi's Discretionary Charity Fund. Be sure to specify that this is for Passover Charity. You may do so here. May this period be festive and meaningful.